The Forney Arts Council (FAC) was formed to help promote the arts in Forney, Texas. The Forney Arts Council is now a young vibrant non-profit organization dedicated to being a conduit for local artists while increasing the awareness of the arts in the community. We are young and old; artist and admirers; new and long-time denizens of Forney. Our mission is to improve the quality of life in Forney with art shows, concerts, festivals, movies, plays, recitals, etc. and in doing so create a vibrant and burgeoning downtown. Our mission is to bring beauty, meaning, understanding and most of all, togetherness in the lives of every Forney citizen. 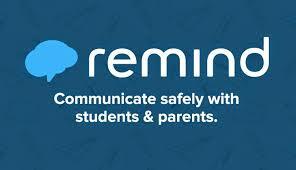 Many of our programs use REMIND as a way to communicate with students and parents.